Glenn Marla is a Brooklyn-based theater artist, writer, puppet maker and art therapist. Mx Marla believes that if you don’t fit in anywhere you can fit in everywhere. This outlook has taken their original visual and theatrical darings to be performed at galleries, museums, theaters big and small, clubs, bars, universities, community centers, and sideshow burlesque venues. 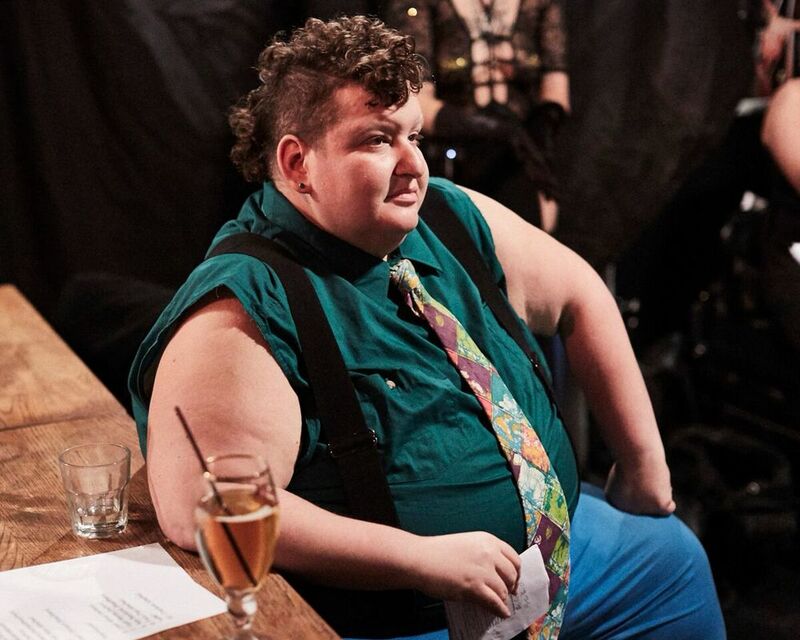 Glenn Marla's performance work focuses on themes of body liberation, gender, fat, excavating our families and histories, and shifting cycles of trauma. It is Glenn's goal that their work amplifies a voice in the world that is most often quieted, dampened, or disregarded. Amplified through performance and puppets Glenn's is a voice that attempts honesty, humor, and vulnerability. Glenn holds a Masters Degree from Pratt institute in Art Therapy and Creativity Development. Glenn is not an art therapist who does performance art or a performance artist who does art therapy. The two are symbiotic. For Glenn both are centered in their artistic dedication to accessibility, connection, visualization, play, and believing that the subconscious has something critically valuable to offer.